This article applies to TEKLYNX CENTRAL, and explains the problem of no label or printer appearing on the screen. This can occur even if the Print User Interface shows the product. When using the Work Order features in TEKLYNX CENTRAL, the product variable number appears but the corresponding label and printer drop down does not appear. 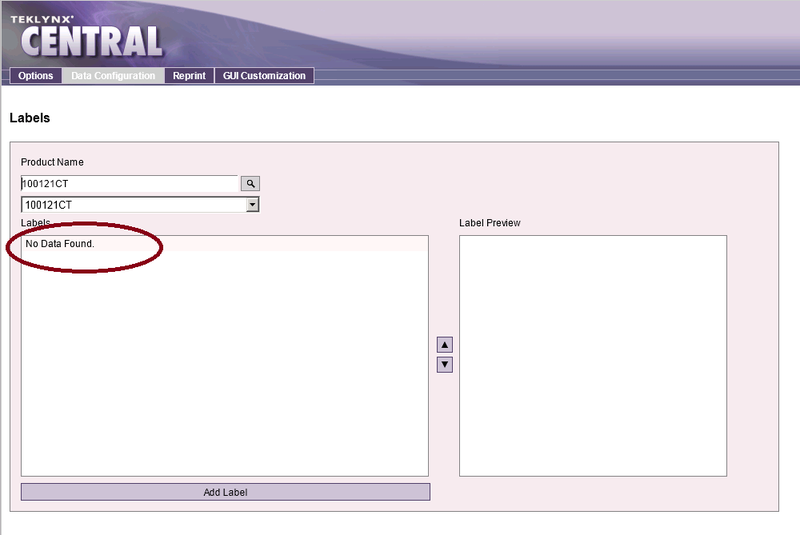 This can happen when a product is no longer associated with a label in the TCAdmin part of the Print User site. To resolve this, a label template has to be associated again with the product, or the product needs to be removed from TCAdmin.